Electric dreams – the sums don’t work – HubNut – celebrating the average! This morning, for what passes as fun around here, my wife and I did some sums. Would it be worth our while buying an electric car? After all, when we borrowed one from Nissan last year, we found an overnight charge of around £3 gave us around 70 miles of range even with my hefty throttle foot. If my 2CV could cover 70 miles on £3 of unleaded, she’d be managing a remarkable 140mpg. She generally averages 45mpg, costing me £529 a year if I cover 4000 miles. If I ran an electric car and charged it at home, the cost would be around £150. Yay! Remarkable savings! There are other savings with electric too. No oil changes, no vehicle tax, no congestion charge if you’re foolish enough to drive in London and as it’d be a fairly new car, no MOT test for a while. Job’s a good’un then. When can I order one? At this point, my wife gently closed the lid on my laptop, interrupting my Ebay search. 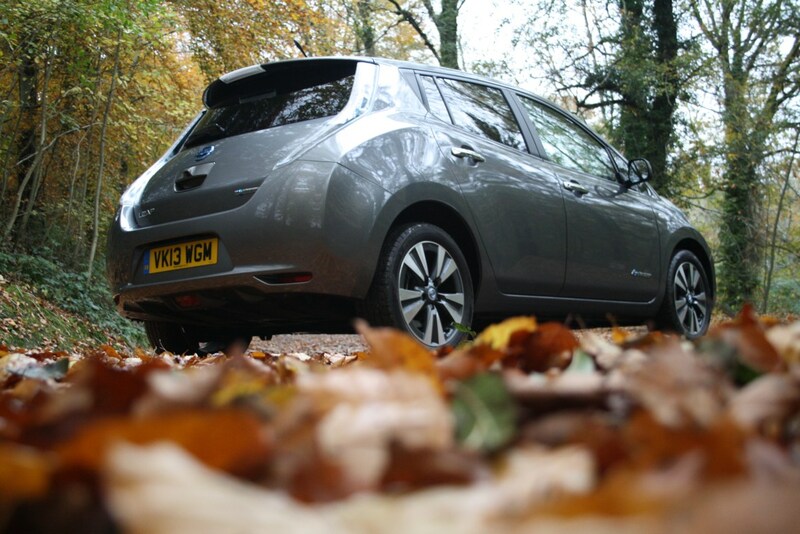 I’d got as far as discovering that to buy a 2013 Nissan Leaf – which benefits from better range, heating and regenerative braking than earlier models – I’d be looking to pay £13,000 or so. If I were in control of our life savings, I might now own a Leaf. Fortunately, my wife is of sound financial mind and I do not own a Leaf. The problem here is depreciation. That’s not a factor with my 2CV – though our total comparison sums did in fact include a ten-year body restoration fund. It seems 2CV bodywork is almost a service item. But just having the Leaf on the driveway would see it depreciate. By how much is anyone’s guess. They seem to lose alarming amounts of value in the first year (like most cars) but what is the future for them going to be? Our sums did reveal that a Leaf would pay for itself in fuel savings. After 14 years. The battery life is considered to be ten years, though non-one really knows yet as the cars are only a few years old. Battery fear is likely to cause older Leafs to lose value quite rapidly I suspect – a battery pack is £3500 or so. Once values drop to that sort of level, will the cars effectively become write-offs? Bear in mind that the earliest – 2011 models – are already down to £8500. Perhaps that’s when I’ll get one. After all, I do like my dalliances with deeply unfashionable motor cars. I can see that an electric car with an elderly battery will meet that standard all too well. For now though, I’m a victim of our lifestyle. We’d never consider owning a modern car of ANY type because the ownership costs are horrific – masked as they are by temptingly affordable finance deals. Fuel savings kind of go out of the window when the car is losing thousands of pounds a year just because it is ageing. Add a few thousand on top for the cost of the finance and 65mpg becomes entirely meaningless. Just the very fact that the costs are comparable means the electric car is getting closer and closer, which I can only see as a good thing. Whether it will continue to get closer as leaves depreciate to an accessible level – and start to be tested for long term reliability – is another matter. Particularly as our ability to meet the demand for electricity is starting to be questioned. Indeed. It’s also worth bearing in mind that ‘fuel’ for electric cars isn’t subject to the same tax as petrol – yet. In fact, it’s possible to fuel electric cars for free if you live near certain chargers. Free fuel! That doesn’t sound sustainable. No such luck in these rural parts though.